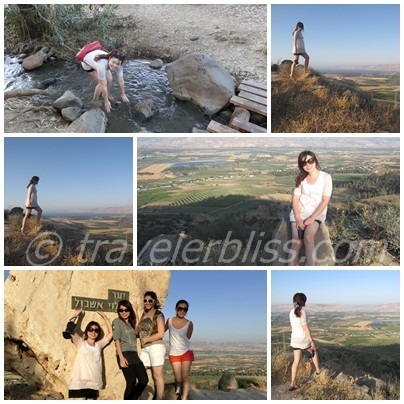 Israel – Adventurous Jeep Ride – TRAVEL is addictive. After our wonderful lunch at the Ein Gev Fish Restaurant, we are heading next to our long-waited jeep tour!! Our jeep tour guide, Yishay Yechieli, came to pick us up at the restaurant. And, the fun-filled adventure ride began. Let’s go~~!! 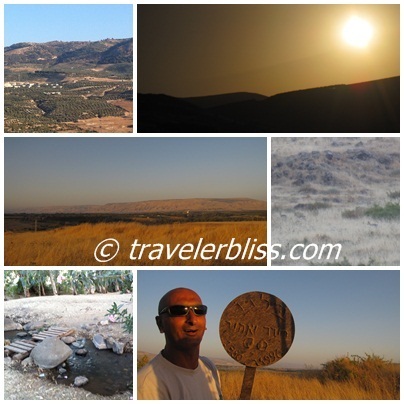 Yishay took us to the Jordan Valley which forms part of the larger Jordan Rift Valley. 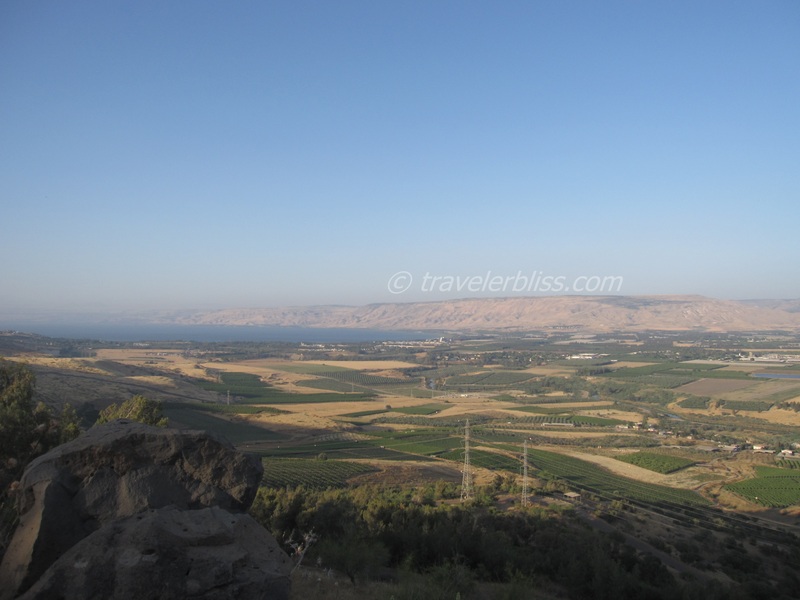 It runs from Lake Tiberias to Dead Sea and the border between Israel, Jordan and West Bank. To enjoy such a scenic view, one of the best way is to jump onto a jeep :D.
Yishay is a easy-going, friendly and fun-loving person. Along the way in the valley, he showed us the various type of plants/flowers. Woo…I was like a student out for excursion and, I like it very much! The whole valley is just like Yishay’s backyard and he knows it well. We even chased a fox, saw deers in the wild!! It’s amazing!! It like a mini safari..
Really regretted that i did not have a good camera to capture those.. Nevertheless, it still help me to capture the beautiful moments. Yishay pulled over at the top of the valley where we took a group picture. Yishay showed us how to prepare this simple yet delicious snack during our break. Besides this, he also made us special tea using some fragrance tea leaves. Yum~ Yum~ Simply can’t stop. Should you are interested for a guided tour in the Jordan Valley and other parts of Israel, you may contact Yishay Yechieli @ the following.